For the four women and eight men tasked with deciding whether notorious mobster James “Whitey” Bulger was guilty of murder and racketeering, life was not easy. Sometimes the jurors shouted at each other; other times they felt disgusted with the sleazy witnesses. The trial was so stressful that some even popped aspirin to soothe headaches, the Boston Globe reports after interviewing some jury members. Juror Janet Uhlar, 56, of Eastham, said she was disgusted to hear that some witnesses were never jailed despite committing murders. “It really broke my heart to see that happening, to see what our founding fathers laid down their lives for, the judicial system, corrupted like that,” Uhlar told the Globe. 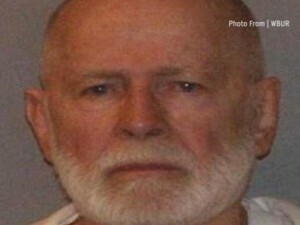 The jury convicted Bulger on 31 of 32 counts Monday. He has not yet been sentenced. Posted: 8/15/13 at 10:39 AM under News Story.